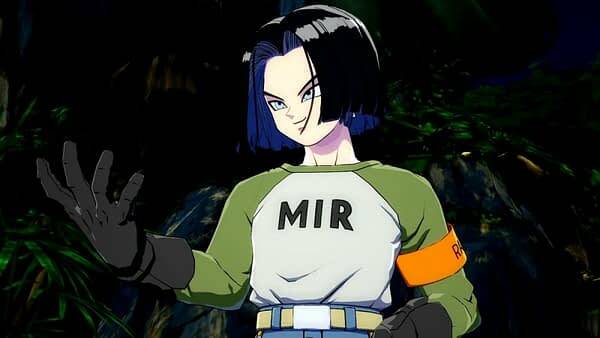 The news we all knew was coming for Dragon Ball FighterZ is official as Android 17 was officially introduced with a gameplay trailer at Tokyo Game Show. Check him out in all of his calm badassery as he pulls off a series of devastating moves including the Barrier Explosion, End Game, and the Super-Electric Strike: Meteor Attack. The cool-headed android 17 uses multiple barrier techniques and long-range ki blast attacks to deal with almost all situations. Nothing less to expect from the winner the Tournament of Power! His strongest move is the Super Electric Strike, a large-scale swirl of energy that can be executed both on the ground and mid-air.